Sometimes, a girl comes across a piece of clothing that they know they simply cannot live without. For me this season, it was this sweater. I had been on the hunt for a chunky, cable-knit sweater, and when I came across this one with it’s cowl-neck and high/low hem making it long enough to pair with leggings, I knew it had to be mine. This sweater has been worn more times than I care to admit since I’ve purchased it, and it is quite simply the coziest sweater that I currently own. 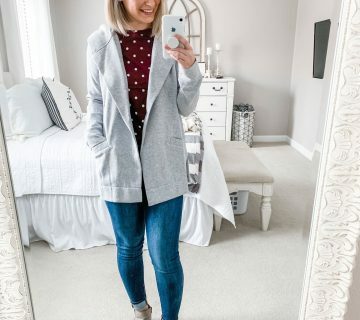 I’ve worn it with both denim and black leggings, but I’ve found that a pair of white skinnies really makes the variations of gray in the sweater stand out for a true winter feel. And, with the upcoming holiday, it’s only natural that I would pop on a daytime-appropriate red lip. 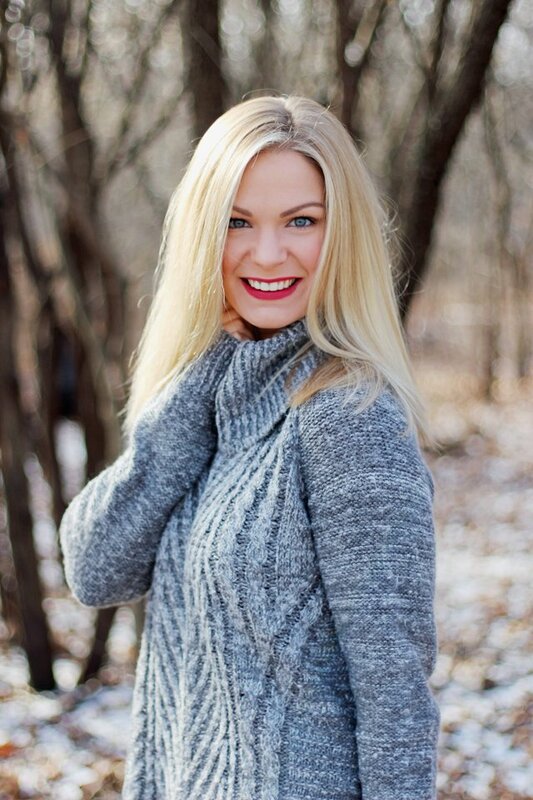 I’m linking up with the ladies behind the Creative Closet today, so be sure to head over to their blogs to check out their favorite sweaters, too! I love how cozy it looks — and the white jeans look amazing with it. Great job! That looks like such a cozy comfy sweater! Way to keep with the white, I totally have failed at wearing mine outside of warm weather! 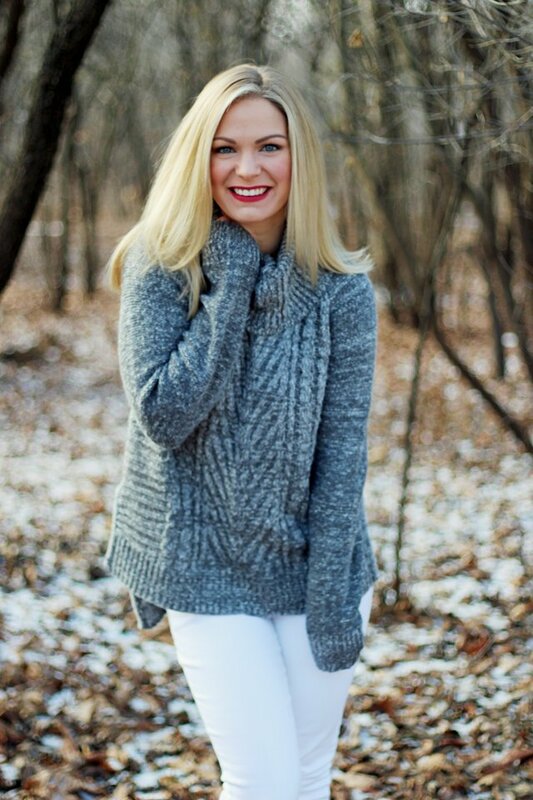 I love this outfit so very much, you are killing it in that winter white girl! 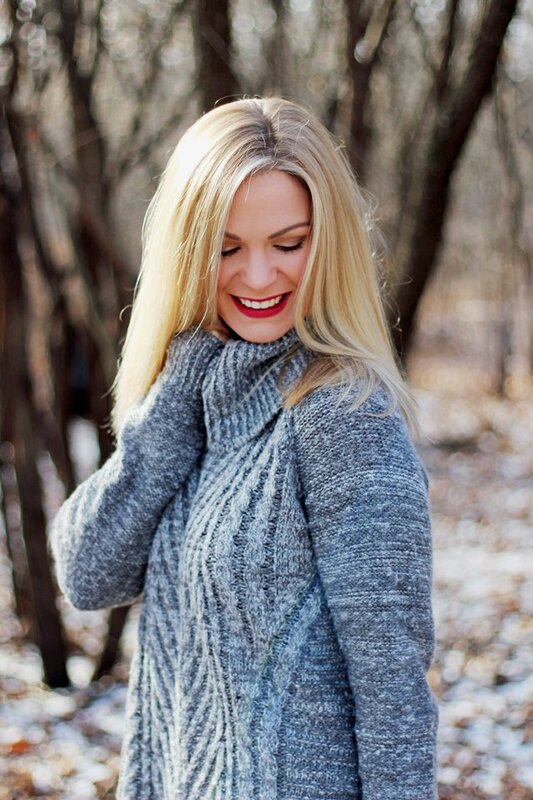 That is probably my favorite red lipstick for this time of year – it's so moisturizing and doesn't dry my lips out! Girl, you need to start shopping there! 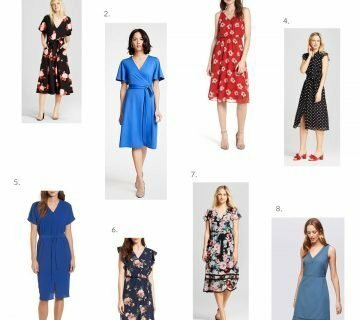 I think Kohl's has really upped their game, and you can find some really fashionable pieces for not a lot of money. It's my favorite place to shop. Thanks, girl! It's so warm. I think I remember the one that you're talking about because I have a similar one from there that I also love. 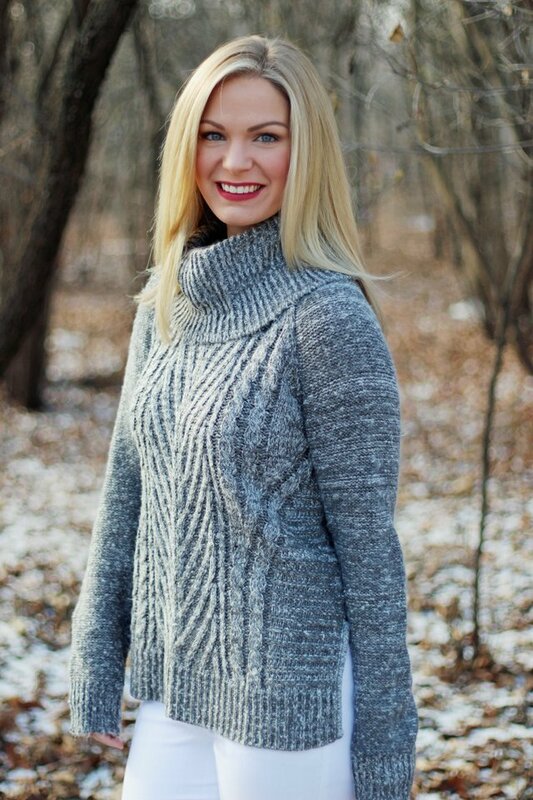 Cowl neck sweaters seem to have been everywhere this season! I agree with you – it can be paired with so many different color combinations. Hope you had a great holiday! I agree with you – I've been wearing lots of grey lately! Right?! I think it looks so chic this time of year. I love that sweater so much! Especially with the white pants in the winter! But I might actually like the lipstick even more! I was just having a conversation with someone about how people always have the best things from Kohl's but I never think to shop there. I'm obsessed with this sweater, you look gorgeous! That does look like the perfect sweater! So cozy and classic. So pretty and cozy! I picked up a gray cowl neck sweater from Forever 21 this fall and have seriously worn it at least twice a week since then. Wishing it came in more colors!! That seriously looks like the most comfy sweater ever!!!! Love you rocking that winter white and bold lip! Totally fabulous! I can see why you love that sweater, it looks terrific on you! So cozy and warm for those cold Wisconsin winters! Love that sweater! It's so warm and cozy looking! And I'm obsessed with gray this fall! Aww you are so pretty! I love your sweater! I just got a knit button up sweater and it was definitely in the running! Red Velvet is one of my favorite red shades in my collection!